- It is a synthetic mixture of anti corrosive pigments and polymer. - It is used as a coating to arrest corrosion in automobile industry, steel fabrication industry and other, where corrosion on metal is of major. 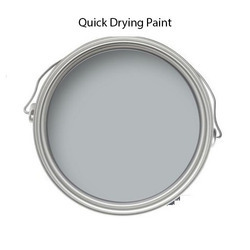 We offer finest quality Fast and Quick Drying Paint that is available in the market.They are processed to provide a tough and durable anti-corrosive base coat on application. - Very quick drying paints used in INDUSTRIES..
- 20 Minutes hard dry paints used in INDUSTRIES. Single Pack Quick Drying system which gives good mechanical as well as performance properties. To fulfill the demands of our valued clients, we are highly engaged in offering Drying Paint in the market. These offered products are processed under the well-equipped conditions. We offer acrylic based fast drying paint. 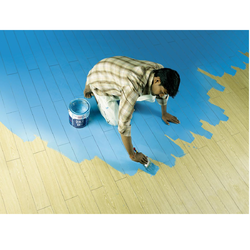 They can be used for successive coating and can be applied in quick time to any surface for a lasting finish. We offer acrylic based fast drying paint with brand name Prime. - Firm coating which not crack or peal. - Acts as anti-corrosion agent. - Fast air drying and flexible film. Packaging Size (ex. 1L or 1Kg): 1 ltr.